Born and raised in Queens, N.Y, never danced a day in his life, Joshua Forbes came to Oklahoma at the age of 17. Attended and graduated as the 1st male graduate of Oral Roberts University with a B.S. 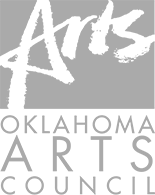 in Dance Performance in 2011 and became an Adjunct Professor in the ORU Dance Department in 2017/2018. Joshua has worked with some of the top artists in the dance dndustry from the Step Up Movie Series, So You Think You Can Dance and America’s Best Dance Crew. Other artists include: Fikshun, Les Twins, Madd Chadd, Law & Jet from Poreotics, Dytto, Miles Brown from Blackish, Flipz from You Got Served, Smoothgalaxy, Poppin John, Boogie Frantic, Emilio & Jaj Vankova from IaMmE, Leco & Gianinni Michael Jackson dancers, KK Harris, Tiara Rapp & Jaira Miller from 8 Flavahz, NonStop, Ladia Yates, Shawn Welling from Planet Funk Academy and many more. Joshua has performed in live theatre productions of “Hairspray,” “Super Sweet,” “Dhadkan,” “Rasa,” “Shakti,” & “Sangama.” He has also been a special guest performer with the Tulsa Opera! He has been on Good Morning Memphis TV Show, and has toured with his former dance crew “The Production” as special guest performers on the World of Dance stage.